However you pronounce them (scowns, sconns, scoons…) these little pieces of baking magic are ever popular on the afternoon tea scene. 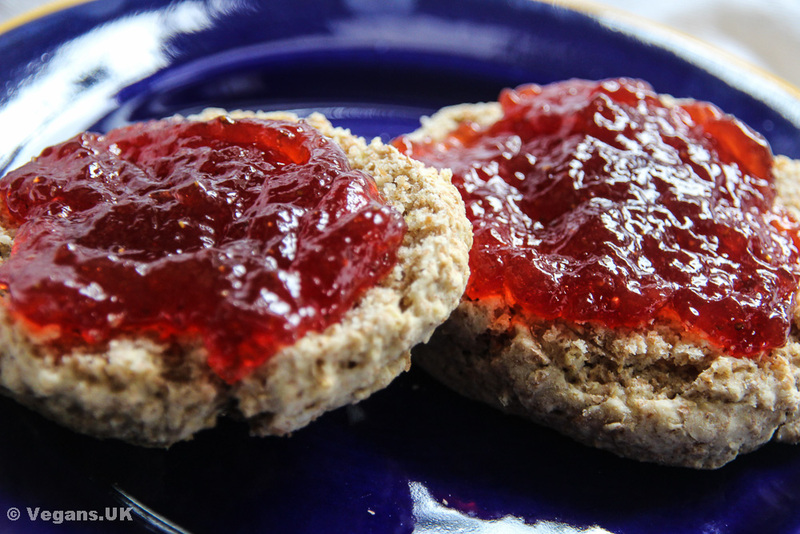 Whether you put jam on them (as I like to) or vegan cream, olive spread, or a mixture of these, there’s something comforting about tucking into a home baked scone. These are plain, wholemeal ones, but feel free to experiment. You can use white flour, add sultanas or chopped dates to the mixture or even try some vegan cheese in there, saving a little to sprinkle on top. Cream the Vitalite and caster sugar together until they’re totally blended and have a light consistency. Rub in the wholemeal flour and baking powder with your hands till it looks like breadcrumbs. Mix the milk and cream together in a little measuring jug and pour it into the mixture a bit at a time, working it slowly into a nice, soft dough. If the dough isn’t coming together as you’d like, just pop in some milk, a few drops at a time, to get all the crumbs to come together. Cut out twelve, or at the most thirteen scones with a 6cm pastry cutter and place them carefully on a large baking tray lined with greaseproof paper. Bear in mind that they will grow slightly, so be sure to give a good centimetre or so between them. Brush the tops with a little almond (or whatever) milk and then let them rest for ten minutes before popping them in the oven. Bake for 14-17 minutes, until they’re slightly browned on top. Pop them onto a cooling rack and then serve with your preferred choice of preserve. 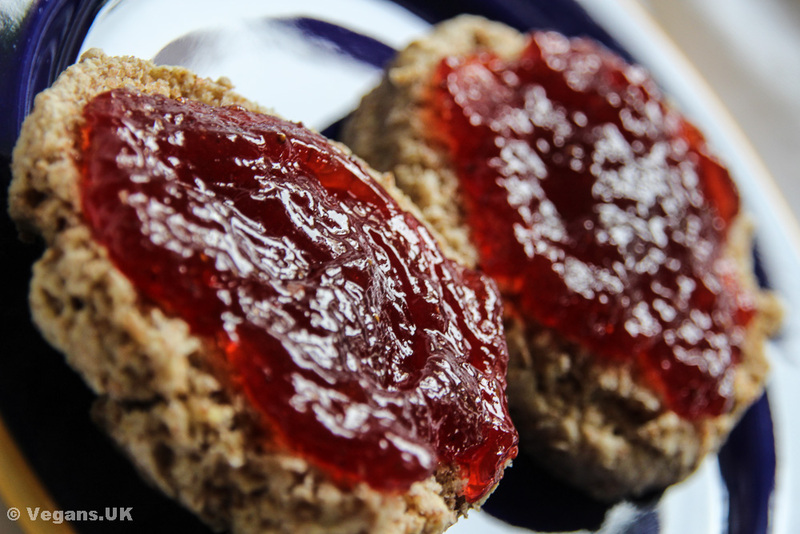 Warm scones and jam. Lovely.